A new phase is opening up in Israeli politics, and it affects relations between the US and Israeli governments and US politics itself. Yair Golan. He compared present-day Israeli society to Germany in the 1930s, shortly before Hitler came to power. 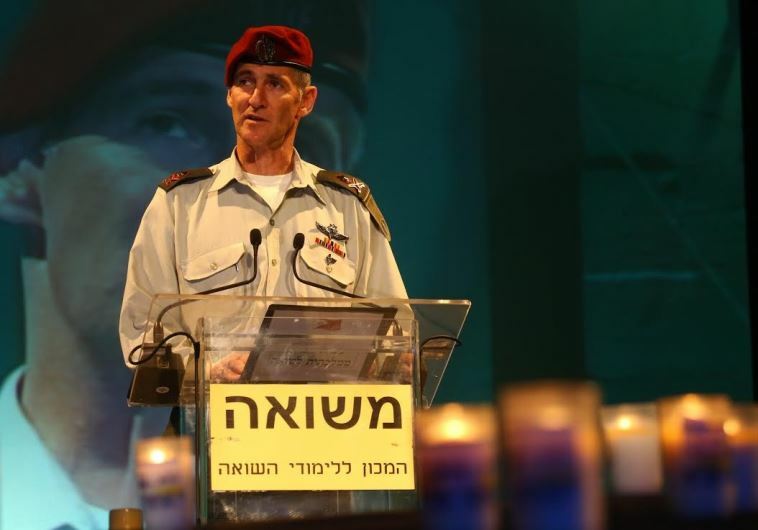 In Israel, on Holocaust Remembrance Day (May 4), the Israeli army’s deputy chief of staff, Yair Golan, compared what has been happening in Israel to the situation in Germany in the 1930s, when the Nazis were rising to power. This set off an uproar, but it shouldn’t have; Golan was right. 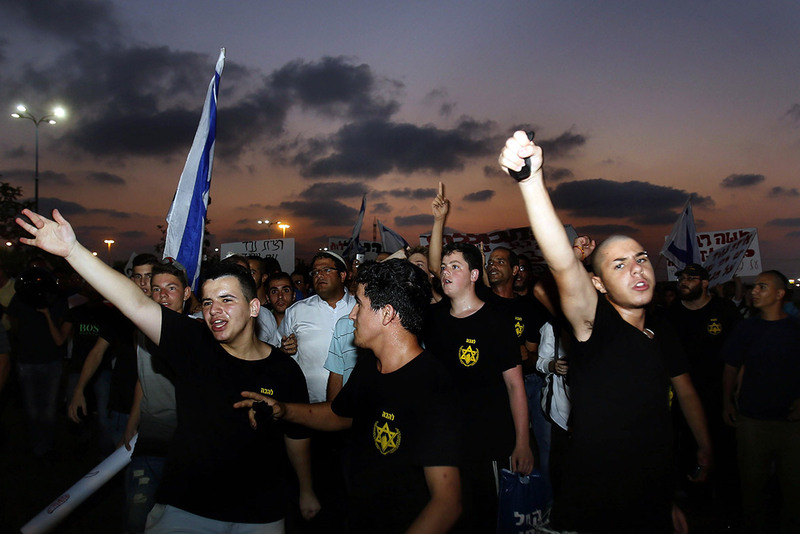 Israeli fascist youth chanting “death to Arabs” at a protest. We have the example of marches of thousands, primarily youth, calling for “death to Arabs”; assaults on Palestinians, boycotts of Palestinian businesses and even of Israeli businesses that employ Palestinians, refusal of landlords to rent to Palestinians, etc. Recently, a video surfaced of an Israeli soldier – El’or Azaria – running up to a Palestinian man – Abdel Fattah al-Sharif – who was wounded and lying face down on the ground and shooting him in the head, killing him. Al-Sharif had been accused of attacking some Israelis with a knife, but whether he did or not, he was no threat whatsoever at the time. It was a cold blooded assassination. The Israeli military brass, which covers up every Israeli military atrocity that it can, was unable to cover up this murder and they put Azaria on trial. This has set off a furor of protest in Israel, with thousands calling Azaria a hero. 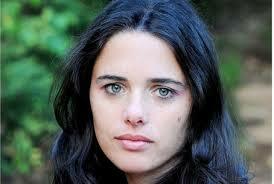 Ayelet Shaked: She called Palestinian babies “little snakes”. bombs in WW II. His fellow party member, Ayelet Shaked, talked about Palestinians as if they were all “terrorists” and called for killing them all. “They should follow their sons, nothing would be more just. They should go, as should the physical homes in which they raised the snakes. Otherwise, more little snakes will be raised there,” she said. Shaked is the “Justice” (!) Minister in Netanyahu’s cabinet. Ya’alon also resigned his seat in the Israeli parliament (the Knesset) and will be replaced by Yehuda Glick, who is described as “the leader of the ‘Temple Mount Loyalists’”. This is a group that seeks open and violent confrontation with Palestinians over the historic “Dome of the Rock”. Ironically, one of the main forces that is unhappy about the rise of racist populism in Israel is the Israeli military establishment. In part that’s because, like most military establishments, it tends to take a more strategic view. It has to since it must live with the direct consequences of strategic blunders. That’s what happened when they tried to invade Gaza during the recent war against the people there. It’s what happened in the Israeli war in Lebanon. In both cases, the Israeli military suffered a surprising number of casualties – something the Israelis are unused to – and had to withdraw. Nor is Corporate America, as represented by the Obama administration, happy about the developing situation in Israel in general and the appointment of Lieberman in particular. “We have also seen reports from Israel describing it as the most right-wing coalition in Israel’s history and we also know that many of its ministers have said they oppose a two-state solution. This raises legitimate questions about the direction it may be headed in … and what kind of policies it may adopt,” said US State Department spokesman Mark Toner in commenting on Lieberman’s appointment. 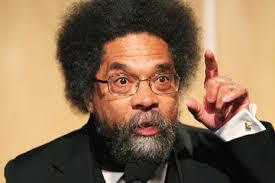 Cornel West. He and others will be used to pressure the racist regime of Israel to moderate their approach. committee. Two of those he’s named are Cornel West, the left-wing African-American academic, and James Zogby, president of the Arab American Institute. They have made it clear that they will be pushing for opposition to Israel’s occupation of the West Bank. A Clinton representative made it clear that nothing of the sort will be passed, but the Israel lobby is disturbed anyway. Malcolm Hoenlein, representative of the Conference of Presidents of Major American Jewish Organizations, said he found it to be “disturbing” that people such as Zogby and West (as well as Muslim congressman Keith Ellison of Minnesota) were even on that committee. In this way, some “outsider” voices can start to be raised in order to pressure the Israeli regime. Corporate America’s problem is that it’s no more entirely up to the saner heads among Israel’s capitalists than it is entirely so here in the US. After all, if here they face the actual possibility that the loose cannon Donald Trump could become president while the radical liberal Bernie Sanders has gone far further than anybody (including himself) expected in the Democrats, if here they are no longer in total control of their two parties, then imagine how things must be in Israel! Netanyahu (l) & Trump (r). If bigoted, loose cannon populists like these can win such a base, what does this say about the future of world capitalism? The rise of open racism and even fascism in Israel and the rise of far right populism in the US (Donald Trump) is part of a global trend. This includes the attacks on the Rohingya minority in Myanmar (Burma), the Islamic State elsewhere, the communalist BJP in India, and the far right, xenophobic parties throughout Europe. The answer to them lies not only in open opposition, it also lies in building the class struggle, the most prominent example of which is presently the mass strikes and protests against attacks in France against long-standing workers’ rights there. The liberal politicians will not save us. Bernie Sanders (who fundamentally supports Israel as well as US militarism, including drone warfare) will not save us. The union leadership – which represents the employers and one of their two parties, the Democrats, inside the workers’ movement – won’t save us. 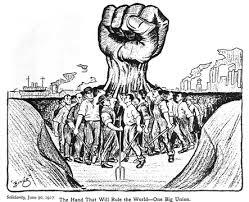 It is up to workers and youth to join together and form their own organizations of struggle, ultimately forming a mass political party, to save ourselves.